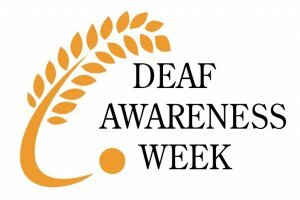 Deafness or hearing loss affects 1 in 6 people in the UK and this year’s Deaf Awareness Week 14th – 20th May is an opportunity to raise awareness to this fact whilst celebrating the collaborative work that has made a difference for so many people who are deaf or have a hearing loss. Martyn Brown who works within the Customer Support Team at Metalogic has been hearing impaired from birth and in the early days largely survived on his wits and lip-reading skills. His hearing loss increased through adulthood and since 2008 he has worn digital aids. Despite this, he still struggles with the human voice and relies on Email, Skype (text), Google (Hangouts) and SMS to communicate with customers and colleagues alike. Martyn remembers how difficult things were for him as a child and since 2005 has been giving his time to the National Deaf Children’s Society, originally as a Deaf Role Model and as a Guest Speaker. Martyn is also looking forward to taking ownership of a Hearing Dog which is currently undergoing training. Sometimes it’s hard for people to relate to a deaf person and many people who are deaf struggle with loneliness and isolation and often feel excluded from many things that hearing people take for granted. 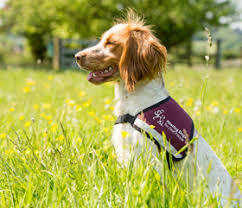 Hearing Dogs for Deaf People trains dogs to alert deaf people to everyday sounds, such as the doorbell, oven timer and alarm clock, as well as danger sounds such as the smoke alarm. ‘Having a hearing dog will have a big impact on my life, firstly the distinctive jacket worn by hearing dogs will tell people that I am deaf and not just ignoring them, secondly there is an interaction and interest from people when you have a hearing dog, who are interested in the dog and how this partnership works.’ says Martyn, ‘But above all a hearing dog will bring me independence, reassurance and companionship’. Deafness affects one in six of the population in this country – that’s over ten million people! 6.5 million of these are aged 60 and over 3.7 million are of working age. Around 2 million people in the UK have hearing aids and 800,000 are severely or profoundly deaf. Adults and children who are deaf or hard of hearing face communication barriers which can cause lack of confidence, exclusion, depression, isolation and unemployment. However technology and the way we communicate is helping to change this. Read more here on how the UK Deaf Council are working towards a world in which people who are deaf or have a hearing loss are able to fulfill their potential.